Broadband @ Home » Broadband News » Should Bluetooth Security Be a Major Concern? With more and more devices in use than ever before, should we be worried about the potential Bluetooth security threats? Once hailed as the great liberator which would finally free us of spaghetti junctions of tangled cables and cords, Bluetooth never initially caught fire in the way many commentators predicted. Yet with the advent of WiFi, we are using more and more devices that have wider implications in relation to Bluetooth security. Designed as the foundation of the personal area network (PAN), Bluetooth enabled wireless communication for devices which were in a range of one to 100 meters of each other. Although the more powerful (Class 1) devices are capable of communicating over a range similar to an average WiFi network, its speed does not usually exceed 1 Mbps, which renders it far more sluggish than WiFi. For years, many people failed to maximize the true potential of Bluetooth, but a growing range of portable keyboards, mouses, printers, headsets, and Bluetooth-enabled phones have conspired to boost its popularity. What are the Bluetooth security risks? Bluetooth connects one device to another through LMP (Link Manager Protocol). Consequently, Bluetooth security is often not to be considered an issue because of the short distance range between devices and the nature of its general use — such as connecting to a computer through a wireless headset. 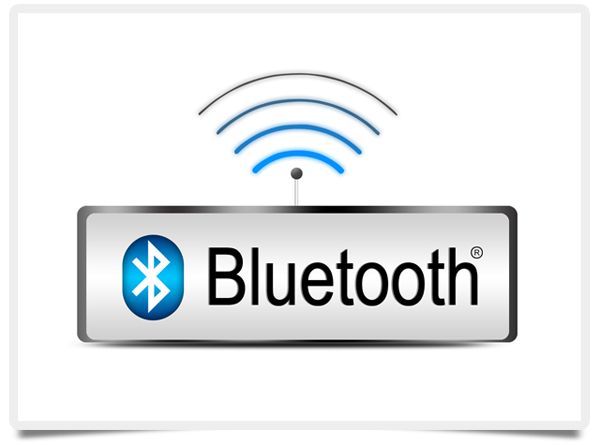 Yet Bluetooth is also used by people using laptops in meetings to create a temporary computer network and share files. When computers communicate directly as opposed to being channeled through a wireless access point (WAP), there is no centralized security, and this can cause major concerns. Class 1 Bluetooth devices can boast a range of more than 300 feet. Consequently, when using Bluetooth to communicate between computers, your confidential data and files are at risk of being breached by remote access. Fortunately, Bluetooth security protects your device from unauthorized data transmission by using authorization and identification procedures. By consciously choosing to accept or decline a transfer of data or opening of files from other Bluetooth users, it is unlikely that any unauthorized access will occur. In addition, Bluetooth users can switch their device to non-discoverable mode so that it can’t be recognized by other Bluetooth devices for extra peace of mind.